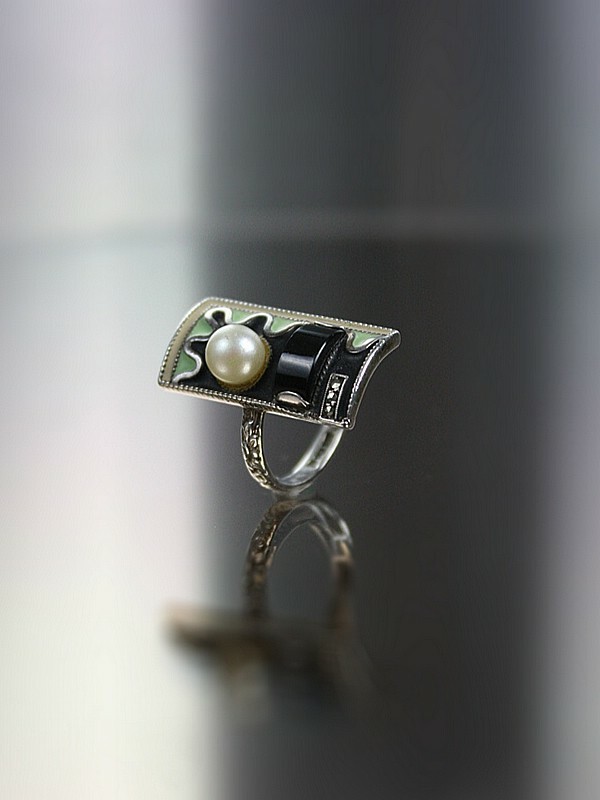 Theodor Fahrner - Art Deco silver, onyx, marcasite, matt enamel and pearl ring, Germany circa 1932. This stunning ring is part of the DEA range that was introduced in 1932 to broaden the market for Fahrner jewellery. 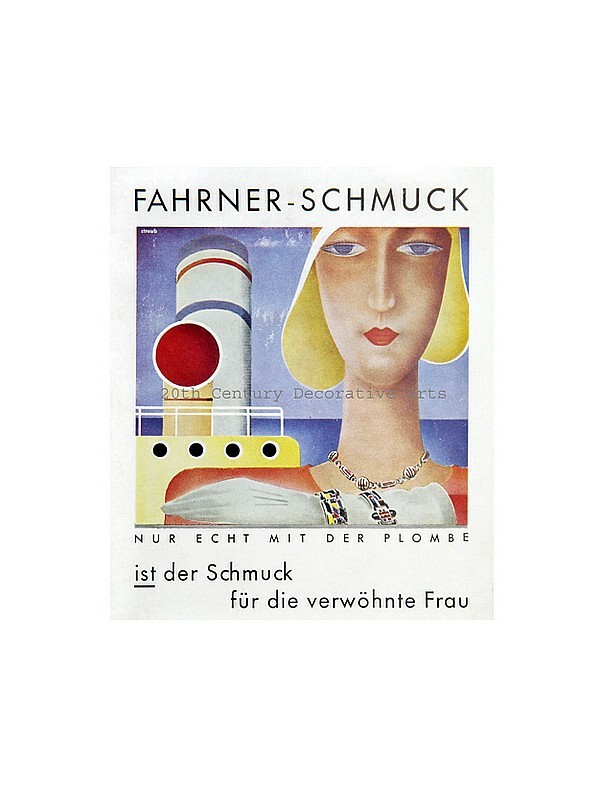 Literature: Theodor Fahrner...between Avantgard and Tradition p 195 and Fahrner-Schmuck 1900 bis 1975 p 101 for more examples in this style.